Signature Edits don’t always have to have a super high contrast, dark, desaturated, grunge look. Signature Edits can have a warmer, colorful, softer feel to them. You took the time to compose the image, let the Evolve Team work with you to bring your artistic vision to life and take your images to whole new level. 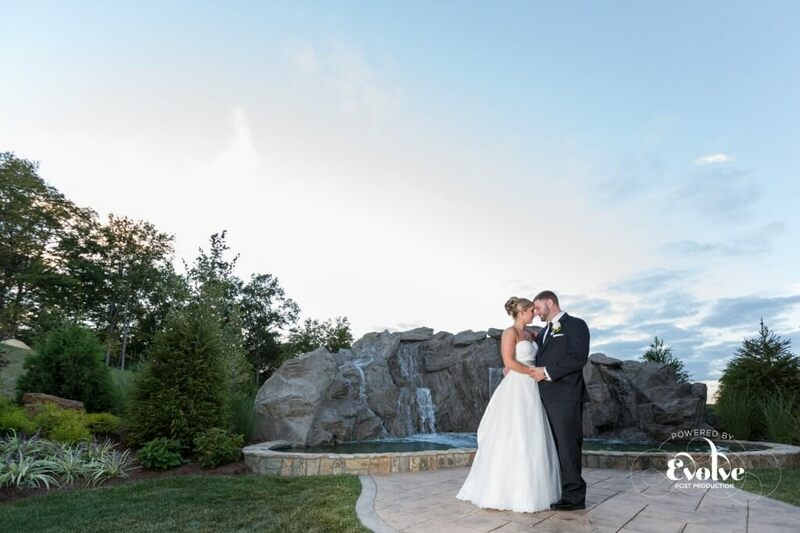 Check out these different styles from the Evolve Edits team for Wedding Post Production! To learn more about Signature Edits visit our services page. 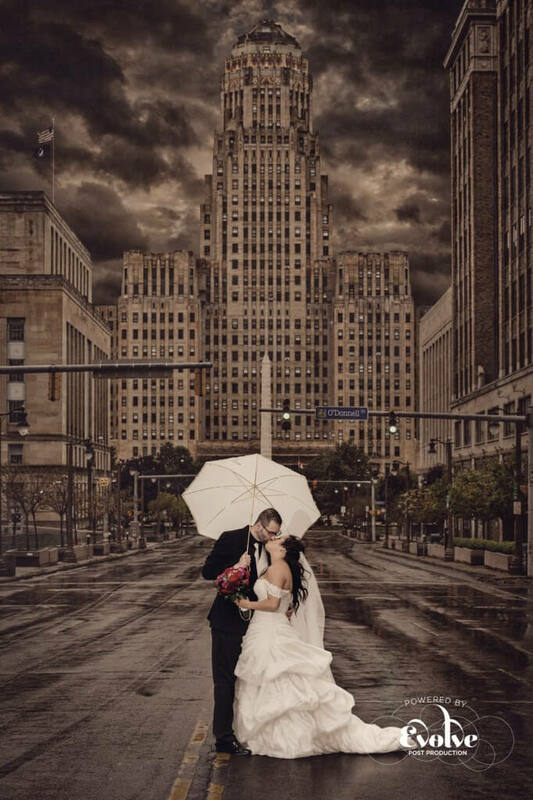 For this image by Greg Wood Photography, we wanted to bring in a more dramatic sky to contrast the darker elements of the image. 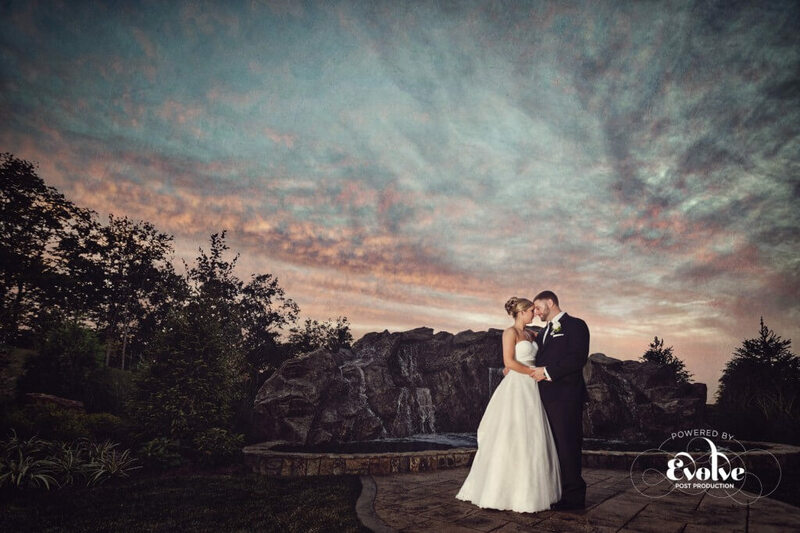 With the soft color palette of the sky as well as the higher contrast of the scenery, we were able to create an alluring image that draws you in and brings your eye to the couple. For this image by Phenomenon, we wanted to create a super sharp, high contrast, desaturated image with a lot of drama. The original image had many distractions with the car and orange cones in the background. 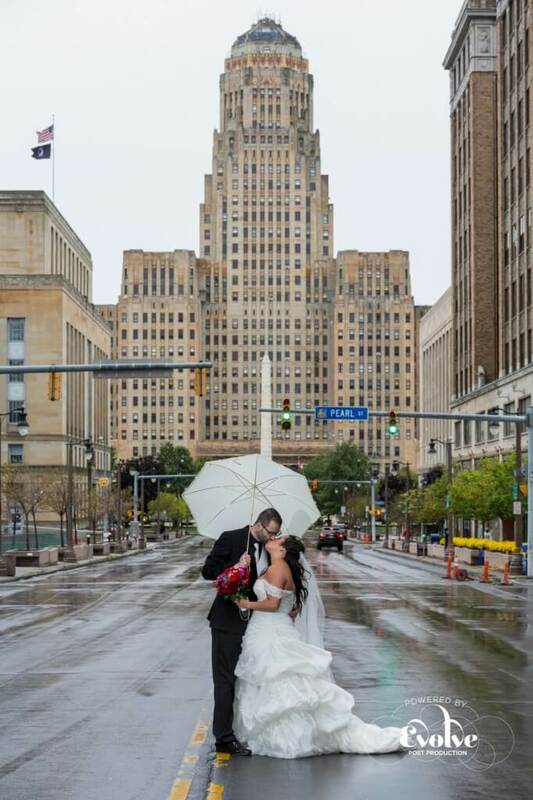 We wanted to make this image all about the couple by removing all the distractions and even adding a special touch by placing the couples name on the street sign.